When it comes to climate change, the debate is no longer over whether it is happening but how fast and how far we move to address it — here in California and across the globe. The planet is warming. Our climate is changing. Human-related activities —particularly greenhouse gas emissions — are to blame. And if we fail to act, the future does not look good. We’ve just experienced the warmest decade — ever — per the National Climate Assessment, and this has brought us to the point of existential risk. If we keep doing what we have always done, the need for change will exceed our capacity to accelerate actions to curb climate change. “We cannot solve our problems with the same thinking we used when we created them, ” Einstein taught us. This holds true more today than ever before. If we’re going to solve climate change, we need a new way of thinking. There’s a movement of leaders across our State who are doing just that. Therefore, despite the dire news and the reality of the situation, I have hope. I collaborate with teams every day that are thinking outside of the box and pushing the limits of what is possible. They are taking the examples from theoretical links between climate change and health to actionable solutions. Often when we hear the word innovation, especially living here in California, we think about the iPhone, the internet, or a new application to take pictures. We do not tend to think about chronic disease, food security, climate change, or community design. We also do not think about the fact that all these systems are related. For me, innovation is about connecting the dots, seeing what has always been there, but appreciating the connections in a different way. It is about thinking differently. Systems thinking does just that, it allows us to connect the dots. Rather than think about issues in isolation, we can think about the system as a whole. Climate change is already impacting health and will increasingly continue to do so. There have been many reports about the impacts on health, poor air quality, extreme heat exposure, new infectious disease, a lack of food and water, major disasters that result in disease, displacement and mental health problems and many more. These issues are important to consider, however, climate change not only impacts health in a detrimental way, but also can be an opportunity for improvement through many of the mitigation and adaptation actions to curb climate change. Climate action can lead to better health and equity right now, not just several years or decades into the future. Despite a lot of efforts to improve health, chronic disease, food insecurity, and poor health outcomes are extremely high in the United States and outcomes tend to impact low-income and people of color more significantly. The National Academy of Science, Engineering, and Medicine released the report, “Communities in Action: Pathways Towards Health Equity” in January 2017. This report looked at the underlying causes, but also opportunities to improve health equity. Of note, health is impacted by the social, economic and environmental conditions where we live, learn, work and play. Health is impacted by many things such as transit systems, if we can walk to work or school, if there is healthy food available, if housing is affordable and located in a place that has nearby amenities to enjoy. At first glance, it might seem like there is not a relationship to climate change work, but when we start to connect the dots we see not only are they related, but the solutions are often the same and can improve our health and equity today. Working towards our goal to shift vehicle miles traveled to use public transit or active transit to walk and bike allows for more physical activity in the day. Transitioning energy to renewable sources improves air quality. Climate-smart landscaping to recapture and clean water can add beauty to walking paths and support physical activity. Adopting policies to increase zero-emission vehicles reduces our dependence on oil and leads to better air quality. Constructing green buildings can have the added benefit of less exposure to toxic compounds and more efficient buildings that save money. Planting trees that also capture carbon can make spaces cooler to protect from high heat days and make walkable and bikeable paths more inviting. Reducing food/organic waste going to landfill by saving edible food for people can help combat food insecurity. Creating affordable transit-oriented development can allow people to use funds towards other expenses and have access to walk to nearby amenities and get more activity. Supporting work to increase access to whole foods such as fruits and vegetables has a lower carbon footprint and provides a healthier diet. All of these solutions are promising, but as we move to more innovative systems-level solutions we quickly realize that partnership is vital. To take the actions above and to see the solutions in a different way requires a diversity of perspective, talent, and knowledge. Different partners including business leaders, health systems, public health departments, community leaders, entrepreneurs, developers, community planners, non-profit partners and government need to come together. Food System 6 (FS6) is a non-profit accelerator that emerged from work with multiple stakeholders through the Governor’s Office of Planning and Research. This accelerator brings together for-profit and non-profit entrepreneurs through a lens of sustainability, health, and sustenance for all. Food to Share is a program run by Metro Ministries and several partners. They have recovered and diverted over 500,000 pounds of healthy food to food insecure families and reduced greenhouse gas from food that otherwise would have gone to landfill. Food Waste Prevention Week was a campaign recently hosted across the state of California with dozens of partners including government and non-profit entities to raise awareness and encourage action to reduce food waste. California was the first state to recommend and provide guidance to integrate health and climate into local plans and increasingly local jurisdictions are taking the lead to do this. The Urban Land Institute (ULI) is training health leaders to make the connections with the built environment and health. The San Francisco Federal Reserve Bank is investing in solutions that promote Health, Equity, and Climate Resilience through the Strong, Prosperous, and Resilient Communities Challenge. My-Cultiver is a multi-sector collaborative working to address the food system, provide jobs, source sustainable foods, and provide healthy meals to Kaiser Hospitals. Health Care Without Harm (HCWH)-also a collaborator of the My-Cultiver project above, HCWH is working with health systems across the globe to realize their anchor institution status to take a pledge to combat climate change and realize health benefits with over 14,000 hospitals participating. We need even more examples like this to get to where we need to go. Local governments across California are partnering with others and adopting ambitious climate action plans and other community plans that integrate health. At a regional and state level, California continues to be a leader in action to show what is possible. These solutions increasingly looking at the co-benefits of actions to address not only climate change, but health, equity, and economic benefits. The upcoming Climate Adaptation Forum will bring forward the best science, examples, and ideas geared towards solutions. In September we will continue with this momentum during the Global Climate Action Summit and partner with progressive states and regions, cities, business and investors to take ambition to the next level across health and a wide range of related opportunities. Now is the time to move into action, to embrace the challenge ahead, and realize it is all connected, so we should be too. 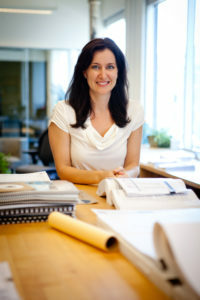 Dr. Elizabeth Baca is passionate about innovations to foster total health and well-being. She currently serves as the Senior Health Advisor in the Governor’s Office of Planning and Research (OPR). She is engaged in innovation in the public sector to foster health through multiple projects including healthy planning, healthy food systems, big data, and public-private partnerships. For healthy planning and food systems, she works across sectors to foster collaboration, elevate the connection between health and the built environment, and leads the effort to incorporate health considerations into the planning process to build healthy, resilient communities. Additionally, she serves as a lead for the Governor’s Initiative to Advance Precision Medicine. Through her role in OPR, she is an advisor for Urban Land Institute’s Health Leaders and FS6, a Food System Accelerator. Dr. Baca also served on the National Academy of Sciences Consensus Committee for Community Based Solutions to Promote Health Equity.